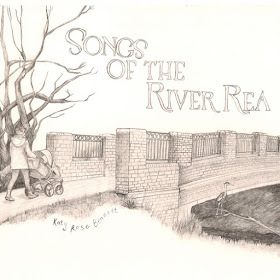 Before addressing the quality of Katy Rose Bennett’s new album SONGS OF THE RIVER REA, two features immediately stand out: a set of songs based on Birmingham’s often hidden river and a Dreaming Spires presence. Of course Katy is the brother of Joe and Robin from Oxfordshire’s finest band and it is indeed Joe who lends his all-round music expertise to the project by assuming the production role. However you need the key components in place first and Katy skilfully provides these in the guise of eleven exquisitely crafted songs. 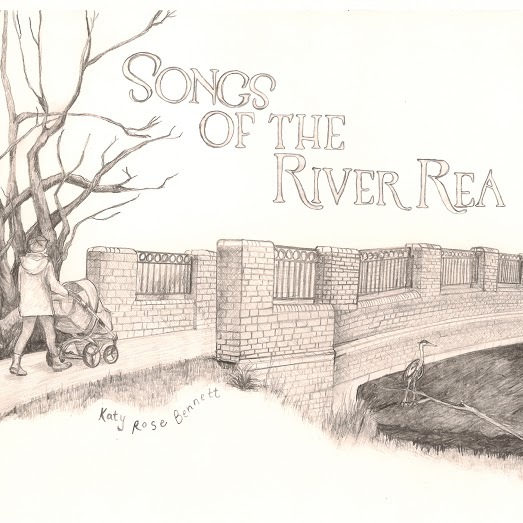 The River Rea has only a short existence of 14 miles, extensively buried under the city centre, yet still provides the inspiration for a savvy collection of interesting songs stretching the breadth of the roots spectrum in their unravelling. Katy is equally at home in delivering the songs in laid back mode as well as the upbeat numbers pulling away from the folk tinge and bordering Americana territory. The strength, tenacity and deep rooted appeal of the songs are a credit to Katy who is returning to the status of recording artist following a busy break. The story numbers grab your attention with a vice like grip, while the personal reflections reveal an individual fully comfortable in sharing her thoughts and feelings via the medium of song. Apart from Joe’s general work across the record, which ensures a lo-fi Dreaming Spires stamp is left on the sound, and Robin’s flute contribution, the other name to jump out from the players is the presence of the ever-in-demand CJ Hillman playing pedal steel on one of the tracks. Perhaps a more prominent role is undertaken by the guitar skills of Phil Ward, present on most pieces, with a neat solo surfacing on one of the stand out numbers ‘Rusted Ring’. This is a song signposted for promotion of the album and vies for top spot with several other impressive candidates. These include the wide reaching style of Katy’s writing which leads off with the sensory dominated opener ‘Cold November Day’. Stark references are aplenty in ‘Counting Kettles’, while ‘Jack & Ivy’ is rich in pure nostalgia and explicitly cracks the genre of emotive storytelling through song. There is a sense of joy surrounding the most personal song on the album and there is no holding back on the sheer emotion pouring out of ‘Driving Home’, all delivered in an upbeat style adorned with far from solemn steel. The songs comprising this collection have evolved over the last decade and it was during this period when Katy first crossed my path as a performing artist when opening regularly for the acclaimed North American folk ‘n’ roots group Po Girl. These gigs were held at the Kitchen Garden Café and Katy recently returned to the venue to successfully launch this, her fourth album. Two further tracks demand increased attention headed by the rousing finale ‘My Friend’, closely followed by the slightly funky and forever spritely ‘One Day’. These form significant parts of a record, heavy in variety and consistent in ear pleasing quality. Occasionally, local references creep into the lyrics and sit neatly alongside social observational comments ranging from football to daytime soaps. The whole entity of SONGS OF THE RIVER REA invites many repeat listens and continues to throw up intrinsic parts when the plays hit double figures. Katy Rose Bennett should be immensely proud of this record and with a flow of good fortune it should reach the ears of many music devotees excited by the combined art of fine song and expert musicianship. The River Rea is destined to be a hidden feature of Birmingham’s landscape but SONGS OF THE RIVER REA may just surface to wider recognition.